When we started Cybervise in 2007, website maintenance was very simple. Businesses had html websites that they didn’t have the skills to update, but needed simple updates, without starting over with a new website each time. 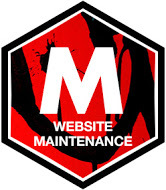 What is website maintenance today? As search engine optimization became more well known and part of every business marketing strategy, website maintenance became key to the process. Frequently updating web page content and keyword information was crucial to encourage search engines to return to your site and look favorably on your optimization work. As the economy started to change, keeping a fresh website became crucial to staying in business. Website visitors were often checking websites looking for reassurance that businesses were still operational. The problem was finding website content that hadn’t been updated since the 2008 economic downturn and wondering if this was the last update from a defunct business. In the past couple of years, Content Management Systems (CMS) have come into popularity. Websites are now being built with tools that allow a non-web developer to make updates to web pages. Could this mark the end of website maintenance? Actually, it has been our experience that maintenance requirements increase with the addition of a content management system. Many business owners don’t want to take the time to learn the tools or the changes that are required cannot be performed within the CMS. 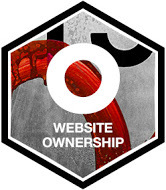 We have noticed that we spend more time on sites equipped with CMS tools then the traditional coded sites. If you are running an online store, website maintenance is equivalent to running a retail store. Product inventory, pricing, shipping all have to be maintained on a frequent basis. We recommend that online stores should perform maintenance at least on a weekly basis. Any delay in updates can instantly cost a business money, so plan for help before you find yourself in a crisis. The new frontier for website maintenance doesn’t actually take place on your website. Businesses who wish to market heavily with social media are finding internal resources can’t keep up and additional resources are needed. Social media accounts need to be populated on a weekly, if not daily basis. We recommend starting with a good marketing strategy that can quantify the level of participation in social sites and help you plan resources accordingly. Would you like to learn more about how to keep up with your website tasks? Request a Free Consultation. Who Owns Your Company Online? 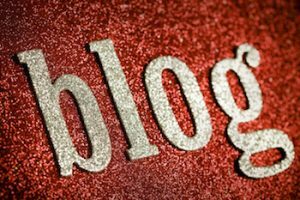 Should I worry about my website traffic?